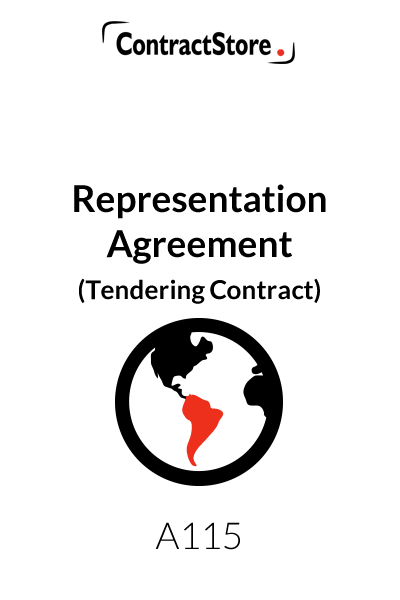 A company that wants a representative in another country to look out for tendering opportunities can use this representation agreement. The representative is likely to be a business in that country with good contacts in the sector which the overseas company is interested in getting into. The role of the representative. This is likely to include getting the overseas principal’s name on tender lists, passing on invitations to tender directly to the principal, liaising with public or private sector. But it is likely to prohibit any formal commitment by the representative without specific authority in writing in particular situations. Fee arrangements. These are unlikely to involve any commission. Instead, there will be a regular fee in return for information being supplied. There may also be arrangements for reimbursement of travel expenses and the costs of registering on tender lists etc. And if matters work out, the representative might become the local agent or even partner of the client. 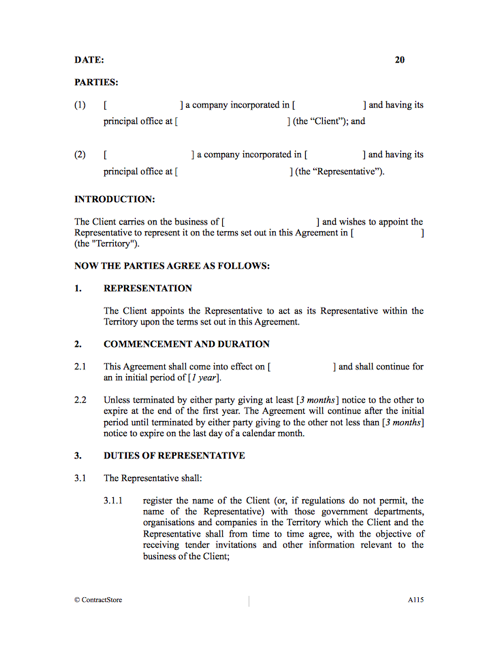 This Agreement is between a Client in one country which wishes to appoint a Representative in another country to introduce it to potential business. The Agreement is fairly limited in scope and is not intended as a fully-fledged agency agreement. Instead, the Representative’s activities are confined primarily to providing tender information to the Client. The Agreement nonetheless contemplates that if matters work out between the two parties, the Representative might become the local agent or even local partner of the Client. This Clause fixes the commencement date and initial duration. Either party has the right to terminate on giving notice – initially to expire at the end of the first year and thereafter on 3 months notice or whatever period is agreed between the parties. Unless terminated, the agreement will continue from year to year. This sets out the obligations of the Representative which includes registering the Client with relevant government and other departments that issue tender invitations and forwarding tender documents to the Client, plus such other services as the Client may reasonably request. Clause 3.2 assumes that the Client will visit the Territory from time to time and that the Representative will look after visas and hotel accommodation as well as setting up meetings with prospective customers. Clause 3.3 imposes a ‘good faith’ obligation on the Representative. 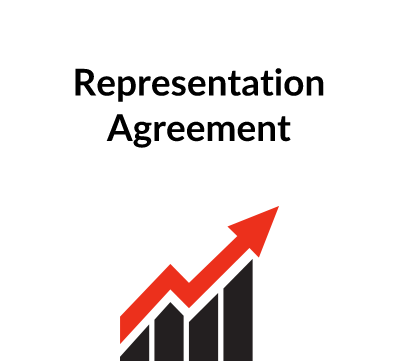 The agreement does not contain a clause prohibiting the Representative from acting for competitors of the Client and if this is required, extra wording could be inserted here. In clause 4.4 there is provision for the Representative to obtain a finder’s fee if the Client obtains a contract award as a result of the Representative’s efforts. The fee amount is to be agreed on a case by case basis. In clause 4.5 the Agreement assumes that if the Representative has a contracting role on a successful tender, it will make a profit on its activities, in which case no finder’s fee will be appropriate. In many countries, a foreign company which wishes to do business needs to have a local agent or partner. This clause deals with the possibility of the Client needing to show that it has a local agent in order to be able to submit a qualifying tender. 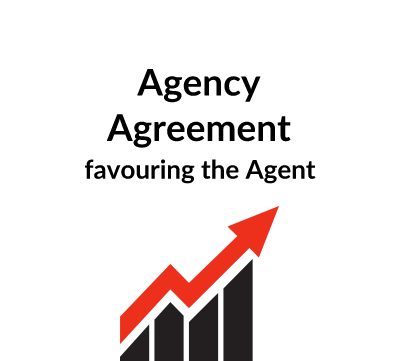 The Representative, in effect, has the right of first refusal for appointment of agent, but if terms cannot be agreed, the Client is free to appoint somebody else. In clause 5.2 the possibility of the Representative submitting a tender in its own name is contemplated. In such circumstances, a ‘Teaming Agreement’ will be needed and that is referred to here. This clause gives the Representative the right to be considered for the role of local agent if the Client decides to set up in the Territory but does not bind the Client to appoint the Representative. Note also in some countries care must be taken as regards registration of agency and representation agreements as termination may involve the payment of compensation by a principal. In addition to the provisions of clause 2.2, either party can terminate if the other is in breach of the agreement or becomes insolvent. This clause specifies the law which will govern the interpretation of the Agreement. It goes on to provide for disputes to be resolved by arbitration rather than through the courts.